The Orthodox faith places a high importance on starting a family. This article introduces us to Rebecca who is a 38 year old, single Orthodox Jew. She experienced a stroke at work, sparked by a migraine medication, two weeks before her wedding. Falling to the floor, she suffered a broken neck which caused both spinal cord and brain injuries. When her fiance realized the magnitude of her afflictions, he changed his mind about getting married. With the blessing of several rabbis and the hope of raising a family, Rebecca has decided to freeze her eggs. "Doctors in the United States who are familiar with "halacha" -- or Jewish religious law -- say they are seeing more Orthodox patients who have been sent by their rabbis to freeze their eggs before their fertility wanes." "About 5% of Silber's patients are Orthodox and is practice is supervised by top halachic authorities in Judaism from Jerusalem. He recommends egg freezing 'for all women who do not anticipate having a baby soon.' he said. 'Aging of the eggs is the critical and most important reason fro the current infertility epidemic worldwide. And i would suggest well before 38 to do that.'" "In Israel the procedure is covered by the government. 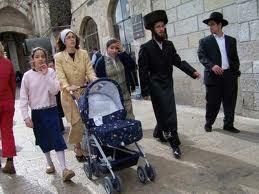 Some rabbis recommend every single woman over age 32 freeze her eggs as an insurance policy against infertility."